America’s favorite apple has deep ruby skin and a classic heart shape. 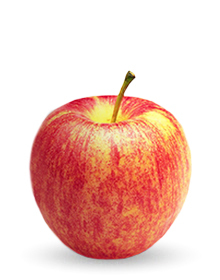 Its mild, sweet flavor and distinctive, juicy crunch make it a five-star snacking apple. Grannies are bright green and are also available with a pink blush. Tart, tangy flavor and crisp bite. Great sautéed, in salads or eaten out of hand. The preferred, all-purpose cooking apple. Firm, white flesh and skin so tender it doesn’t require peeling. 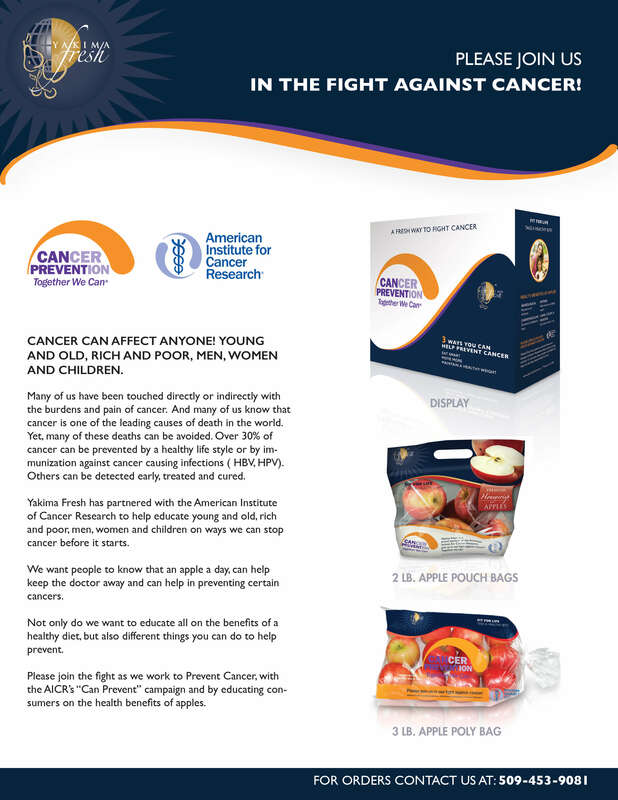 Maintains its shape and rich, mellow flavor when baked or cooked. 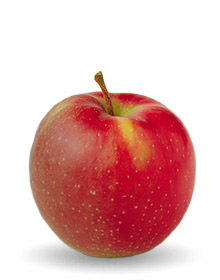 The crisp, juicy Fuji varies from yellow-green with red highlights to very red. Its spicy, sweet flavor make it excellent for salads or eating out of hand. The perfect take-a-long snack. Heart-shaped, distinctive yellow-orange skin with red striping and a crisp, sweet taste that can’t be beat. Great in salads, too. 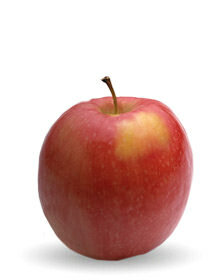 The Honey Crisp is speckled with red over a yellow background. The honey-sweet flavor and crisp finish makes this juicy variety perfect for snacking, salads and sauce-making. Yellow-green base with a blush stripe. 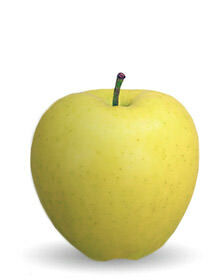 A blend of Jonathan and Golden Delicious, the Jonagold’s tangy-sweet flavor is unique. Excellent for eating or cooking. 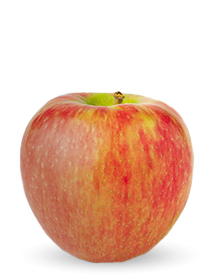 Varying from greenish-gold with red sections to nearly solid red, the crisp and aromatic Braeburn blends sweetness and tartness for high-impact flavor. Great for snacks and salads. The Cripps Pink is known for its sweet-tart taste and firm, crisp flesh. It is yellow in color with a pink blush. The delicious Cripps Pink is great for cooking and eating out of hand.